Minimal setup with the Medicom Toy x Mastermind Japan Bearbrick 1000% as the centerpiece. 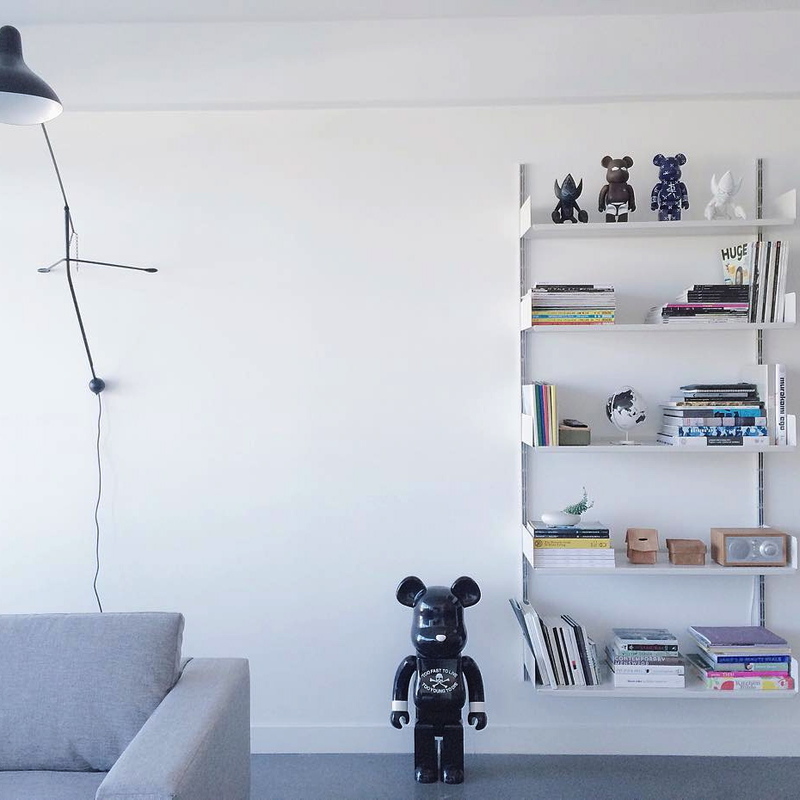 Organized shelving with a modern lighting fixture both resting on clean white walls. The perfect spot to relax and enjoy your Sunday evening.